Autumn has deepened around Lake Biwa. The trees are now ablaze with beautiful scarlet, orange and yellow. 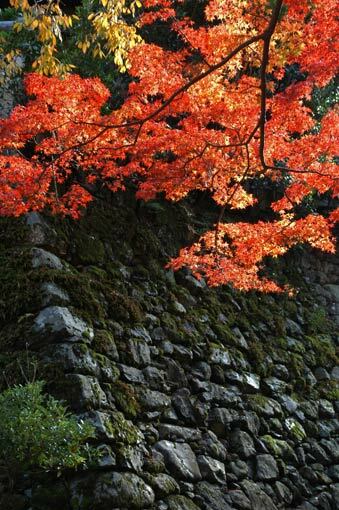 Along with cherry blossom in spring, the viewing of autumn leaves has been a popular seasonal activity for the Japanese for centuries. Every day the local news media report the turning of colors in the foliage at major autumn-leaf viewing spots. 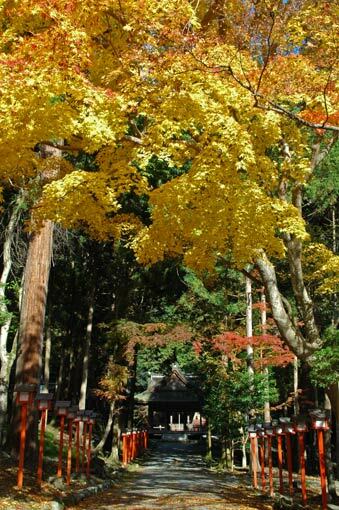 Hiyoshitaisha shrine on the eastern slope of Mount Hiei is one of those places which draw fall foliage lovers. 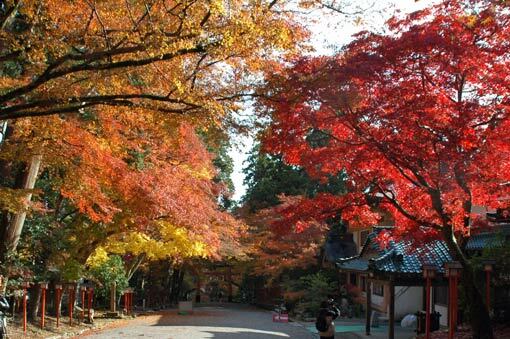 While its vast precincts are set in the dense cedar and cypress forest, the shrine boasts thousands of deciduous maple trees as well. Fall colors look more vivid here, with the contrast to the dark background of evergreen trees. 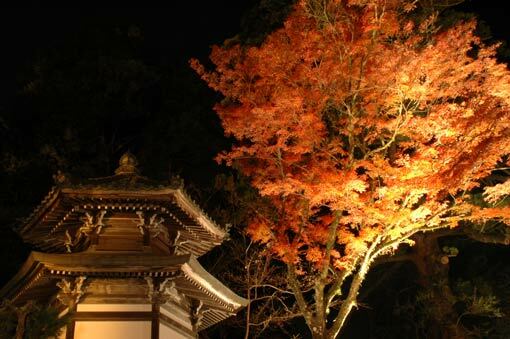 The highlight is the approach from the entrance to Nishihongu (West Shrine). On this 300 metre-long pathway leading uphill across the river, overhanging branches of numerous maple trees form a multi-colored tunnel. 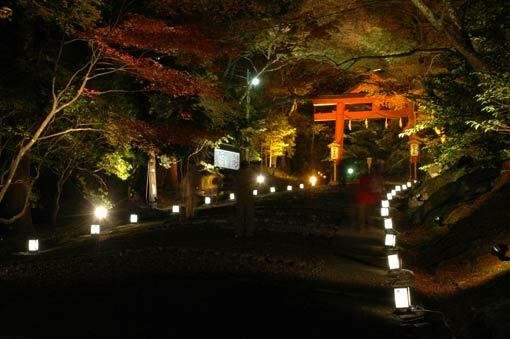 Along the way, in addition, various cultural assets such as shrine buildings, torii gates (in this season their vivid vermillion seem less eye-catching than usual!) and moss-covered stone bridges make the view with full of colors more colorful. During the fall color period, areas along the approachway are illuminated after dusk. 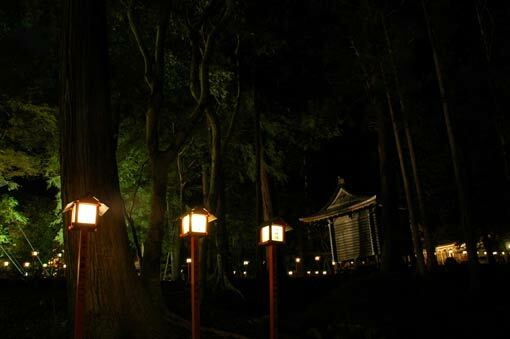 The atmosphere is totally different from that of daytime; leaves suspended in the absolute black of night, cold and calm air, lows of lanterns fading far into the darkness… it is more ethereal. If time allows, you really must try both day and night!